Just posted today on the IHG website, you can take advantage of $35USD/night per room, for an unlimited number of days in any of the IHG properties on sale through THIS link. There are only 200 reservations per hotel on sale for 5K IHG points per night. You're in great shape if you have a Capital One Canada IHG card (no longer available to apply for as of September 2016 or a US version by Chase. Through Points.com, as a Canadian, you have the option of converting points from, for example, Aeroplan--not at a very good rate, but with IHG you either get your points through a credit card, stays at IHG properties or by converting your points--but you need to have 5K points first to do a trick to get more. You book a room using the option of "points and cash." It’s non-refundable, BUT they’ll give you points in lieu of the cancelled room. That way, a room will cost you, with Point Breaks, about $35USD a night! Here's how. The AMEX Gold Rewards personal card is the easiest way to achieving your vacation goals. It comes with 25,000 Membership Rewards with the link above after hitting the spending threshold (only $1500 in 3 months). It used to be $500 but they upped it (grrrr). Despite what AMEX Canada's policy is as of 2016, they ARE still giving the welcome bonus to those who've received it before. This is true for all the AMEX cards, but apparently, it was supposed to be changed on personal AMEX cards to one per lifetime per card type. You may have to wait 8-10 weeks to see it post after you hit the spending threshold. AMEX points can be switched 1:1 with Aeroplan instantaneously or with British Airways Avios (part of the One World Alliance including American Airlines). A conversion to Avios can score you a conversion bonus, lately around 25%, so for example, 10K AMEX points would be 12,500 Avios points, but be sure the deal is on--I'll let you know the next time it comes around! Avios' cancellation policy is very generous compared to Aeroplan (24 hours notice as opposed to 33 days) and lower charges in taxes. You can also pool Avios points together in a household account (Aeroplan doesn't allow for that). AMEX cards offer you the option to diversify, so you can look for flights on both systems, not just with Aeroplan. It can be used through TripFlex to pay for any travel expense at a cashback level of 1%, but it's not the best use of these points. 60,000 Membership Rewards with the link above after hitting the spending threshold (ONLY $1K in 3 months). It has a steep $699 annual fee that is NOT waived but it comes with great benefits, including 1.25 points per every dollar spent, a $200 annual airline credit, that you can use this year and then in January to get $400 off of that annual fee (in a sense), Centurion (AMEX) unlimited lounge access for you and your family (at Pearson and other airports that have Centurion lounges, including LaGuardia), and so much more! 40,000 not 30,000 Membership Rewards with the link above after spending $5K in 3 months. ANNUAL FEE WAIVED the first year ($250 savings). You get 2 points per dollar spent from 3 suppliers of your choice from a list that includes Petro Canada, 407ETR and Best Buy. Click here to see the list of suppliers. You get 1 point otherwise. Even officially, AMEX still allows applicants to get the welcome bonus more than once in a lifetime. If you don't have an official business registered with Revenue Canada, no problem. When applying, choose "self-proprietor" and that will suffice, so if you have some small business on the side (for example, selling things on EBay or Amazon), or any kind of business at all, you qualify! 75,000 not 40,000 Membership Rewards with the link above after spending $5K in 3 months. This is the HIGHEST bonus AMEX Canada offers for any of their cards, and the beauty is that the annual fee is only $499 and you still get 1.25 AMEX points per dollar! It also offers you lounge access but only for the primary card holder (unlike the personal platinum). Well, in the States, Costco will now be accepted at Sam’s Club Warehouses–not exclusively like they had with Costco, but nonetheless, it will help them stay competitive, but what about here in Canada? Over the next few months apparently, AMEX will be changing how it offers the card to its merchants. Somehow, they will offer merchants something that amounts to a lower percentage so that small businesses can afford to offer the AMEX card at about the same levels of charges as Mastercard and Visa, without compromising on its profit like it. As it was explained to me, it will allow merchants to be non-official merchants, so that they can offer AMEX without the higher fees that AMEX normally charges merchants. It’s confusing and unclear but these changes are coming over the next few months. I heard this last year, and it still hasn't happened, but it's gotta be in the cards or they won't stay competitive with M/C and Visa. What that means for us is a more competitive card! Whether it’s the AMEX Gold or Platinum Rewards Personal or Business card, they will be accepted at a LOT more places–and with AMEX Membership Rewards points, you’re much better off at switching the points to Aeroplan (instantly) or to Avios (within about 2 days). That way, you can decide, based on availability and where the routing will cost you the least in fuel surcharges, which point system you wish to switch your points into. Now just might be the time to get an AMEX card! 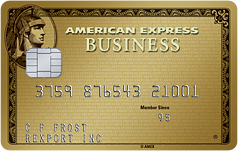 If you have a business card with AMEX, you can put pressure on AMEX to truly bring these changes to fruition. By cancelling your AMEX Business Gold and telling them why (not accepted at Costco and too many other merchants), they may offer you 7K Membership Rewards (MR) points to stay and pay the annual fee when it comes up, but you’d be better off cancelling the card, and if the changes go through, reapplying using the link above, and getting the welcome bonus of 40K Membership Rewards points after spending $5K in 3 months. They’ll also waive the annual fee the first year for the gold cards (personal and business). Remember, you can apply for the card if you have ANY business–self-proprietors without a tax number are accepted, even if you have a business that is on the side–you include ALL your income when answering the question about your business. Go over the benefits carefully. Remember, the Platinum Business has a $399 annual fee while the personal version has a $699 fee, but the benefits, especially for the personal card, are what you’re paying for, especially if you travel a lot. For example, access to lounges including free lounge access to the AMEX Centurion lounges, including the one at Pearson. For years, it's never been an option to get your credit score for free in Canada without some kind of deal-1 month free, Home Depot flipping the bill for a full year free--and while this new option does not provide details other than your credit score, , whether it's excellent, good, fair, etc., and how that fairs against the general population, it's still something. Unfortunately, it only updates once every 3 months. The weird thing is that even though it claims to get its information from Equifax (one of two credit reporting agencies in Canada, along with TransUnion), the numbers don't match with my Equifax score directly from the Equifax website. The discrepancy is 27 points, which is due to Borrowell using a different scoring model based on the information provided by Equifax. Sort of how FICO and TransUnion use the same info to get a different score. Equifax claims that banks use Equifax more than the other credit reporting agencies. Frankly, I didn't even know and I'm suspicious as to whether FICO even does Canadian scores. That is what the agent at Equifax told me, but when you go to myfico.ca, it redirects you to TransUnion Canada. It's important to know your credit score, as it should influence you as to whether you should apply for premium credit cards (ones that expect you to have a high score), whether there's a problem that you're unaware of (e.g., your score is being badly impacted by a card you haven't paid off the minimum payment for over 60 days because they email you your bill, and you changed your email address (YIKES! )), or whether you need to buy the whole package with Equifax to find out what is impacting your score, considering you are looking at getting a mortgage and you're unhappy with your credit score (should be at least 660). Click here to sign up for your free credit score! Back on April 1st of this year, the CBC did a report on a volunteer tax that shows up on your bill in the Niagara Region that you can ask to have removed. It goes by different names so on your bill, beside the GST, perhaps below it or above it, it may be called the Tourism Improvement Fee (TIF), Attractions and Promotions Fee (APF), Niagara Falls Destination Fee (NFDF) or Destination Productivity Fee (DPF). Ridiculous. An acquantance of mine put me on to this scam this morning, and explained how both at a restaurant and a hotel, he saw this on his bill, and after Googling it, he told the waiter/hotel desk worker that he won't pay it. Both times, he was told, "no problem sir." They removed it and gave him a new bill sans tax. The money apparently goes into the coffers of the local businesses with NO paper trail. Westjet has a sale on flights to London Gatwick (not Heathrow) for $246 out of Toronto (a bit more out of Calgary), returning from $341, totalling around $587 return, taxes included. A similar flight with Air Canada is going for $791. Of course, it's NOT during the summer and has blackout periods. Here's the details. Click here to be redirected to the Westjet website info on the sale and to book. Offer limited and subject to availability. Advance purchase required. Amazon.com's Prime Day is ON with deals in every department. Nothing that has blown me away, but their devices are on sale. Click here to sign up for Amazon Prime USA for free for 30 days. The Echo is $50 off ($129), the Tap is $50 off selling for $99 along with many other device deals! In this last of the 6 part series, I will explain a great reason to get Amazon.com Prime--even just dealing with Amazon.com without Prime--Superb customer service, with prices that easily beat what you'd pay in Canada, even after the exchange rate. I've been on the phone with Amazon.com dozens of times. Sometimes it's because the price of an item has gone up in my shopping cart since I added it, a day, two days, a week ago, and I'd like them to honour the original price. A couple of days ago, I called because I had placed a coupon in my account and the item in my cart, yet when I got home, the coupon had disappeared--I suppose the maximum number of people had used the coupon and checked out with it--they gave me a $5 promotional credit to make up for it. Tomorrow, on Prime Day, Amazon.com will continue offering a 3 month trial of Audible--an Amazon service that normally costs around $10USD per month, and gives you access to a library of books that you can purchase at a 30% discount with the membership--not such a good deal--but when you sign up, they'll give you a $10 promotional credit on your Amazon.com account just for signing up for the 3 month free trial. These are the kind of reasons that keep me coming back to Amazon.com. Or how about, replenishing your gift card balance on your account--place at least $100 in it, get $5 back--not a lot but it's just another one of the many deals Amazon gives you. They have a chatline as well, and whether you can them or chat with them online, customer service is VERY important to them--their jobs depend on it as you will regularly be asked to fill out a survey as to how helpful the agent was with you. I find the chatline people are the most generous, but over the phone they are also very generous with their desire to have you walk away satisfied after an issue arises. Part V will focus on the special savings to Prime Members--for example, tomorrow is Prime Day, a day when thousands of items will be marked down, and the best ones on what they call "Lightning Deals," where you have to jump quickly when an item becomes available for sale--then you have 15 minutes to check out or lose the item from your cart. Prime members get access to some deals 30 minutes before non-Prime members. While Black Friday week and Cyber Monday week used to be much more lucrative with Amazon.com, it still has some decent deals that you can take advantage of if you have a US address to ship things to as discussed in an earlier post in this series. Amazon.com, even without Prime, is awesome. Their prices change, sometimes daily for items, many times reflected what other places charge. I've had Amazon.com price match another on-line store before though that's not policy for them--but if the price goes down on Amazon.com, call customer service and they'll match it (if it was a recently placed order). Amazon.com offers coupons for many items that are very good. For example, in a grocery box of items I'm having shipped to a US address, the first item of many of the items I'm buying come with a coupon for $1, $2, 35% or other amounts off. The convenience of free returns on many apparel and the convenience of not shopping in stores, but having everything sent to an address that I can pick it up and take it back over the border makes it worth it. With Prime, there is NO minimum, so for example, you can purchase one item for $1 and have it shipped free. Please be sure to read the entire series of Why CDNs Should Get Amazon.com Prime NOW to not miss out on any of the info you'll need to get the most out of your subscription to Prime! Please sign up HERE to get Amazon.com Prime membership for free for 30 days. In this part, I'll be explaining how and why to take advantage of a large selection of Prime Videos, including movies and cable shows, as well as very highly rated Amazon original programming that are top notch for all tastes, available to stream. Honestly, Amazon.com does not match Netflix USA for variety of old TV shows and movies, but it nonetheless offers an impressive line up of Amazon Original TV shows. They release an entire season in one day, consisting of several episodes. These are top notch programs that are way better than a LOT of the trash on TV nowadays. I imagine that Amazon has invested in high-end programs with big budgets, just to compete in the US market. With programs such as Mozart In the Jungle, Catastrophe, Alpha House and SOOOO many others, for children to adults, there will be plenty of commercial-free programming that will keep you wanting more. If you have an Amazon Fire Tablet ($50USD, and sometimes lower), you can download the shows to your tablet to watch when you're not in a wifi zone. You will have to sign up for a reliable service that will allow you to access American websites like Amazon.com Prime to stream videos and music--I suggest unblock-us.com because it's reliable and commercial-free. It works with SMART TVs, desk/lap tops, Fire tablets, some smartphones, and other devices. They now have an app for Windows 10 that will save you from having to follow instructions to change your DNS settings--it will do it all for you automatically! Please try Amazon.com Prime free for 30 days by clicking HERE and unblock-us.com for free for ONE week, by clicking HERE. Why NOW? Because right now, Prime Day, a day where thousands of items are on sale, including Lightning Deals that go fast, is TOMORROW! In this part, I'll be explaining the advantage of their most basic service, 2 day Prime Shipping--when you're not even living in the States. Amazon Prime offers 2 day free shipping in the USA, with the option of no-rush shipping plus a $.99 credit towards the purchase of Amazon music and videos OR free Prime Pantry shipping (savings of $5.99)--useful if you have a US address. Another option is to have the package shipped to an address of either a friend who will send it on to you, or a better option, especially if you live in the Greater Toronto area, is to ship it to your own address in Niagara Falls, New York, not far from the Rainbow/Whirlpool Bridges. NYAddress.ca is a furniture store that will give you a "suite" number just for you, emails you to let you know when a package has arrived in your name, hold your package at no cost to you, and all this for no membership fee, just $2.99USD per package! I've used it and it's awesome. When you sign up for it, they will give you "your" US address. Make sure that's where you ship your packages to, and when it's convenient to pick it up, bring you ID (of course), present it to them, and they'll hand you your packages! I'd use that address as your American address for your Amazon.com account. If you know you'll be heading down there in advance, send packages with no-rush shipping. This is an option when purchasing items being sold either by Amazon.com or "fulfilled" by Amazon.com. It will take about a week to arrive, and you'll receive either a $5.99 Prime Pantry credit (to use towards the purchase of grocery items they sell) or usually, $0.99 credits for each package you send that can be used for Amazon videos or music downloads. Buy EACH PRODUCT SEPARATELY to get $0.99 for each package and they will tend to ship all of the orders you placed in one day in one box if they are sold by or fulfilled by Amazon.com. Those credit can add up pretty fast! They do expire but they'll email before that happens, letting you know about when that would happen. My family has been enjoying Amazon Prime USA in Canada for about a year now. Question is, are you going to sell your soul to Amazon? Read more to find out what I mean and why it's TOTALLY worth it, and starting at 3am EDT, tomorrow morning (July 12) is Prime Day, a day where you'll WANT to be a Prime member in the States. Sign up for a free 30 day trial of Amazon.com HERE. Then, read parts II through VI as to how and why Amazon Prime is WELL worth it. Sign up for a free 1 week trial of unblock-us.com HERE so that you can enjoy the music and video aspects of Prime. Remember when signing up for Amazon.com, to use a US address (sign up for one HERE for a free US address) so that you'll have no problems streaming, in combination with Unblock-US.com. While there are other services out there that will mask you IP address so that US streaming services will work, and some are free, they're not necessarily reliable, work well, commercial free, and in combo with different devices outside a lap/desk top. What about Amazon Prime in Canada? They offer nothing more than 2 day free shipping, for a similar price--a total rip off unless you plan on purchasing a lot of items with Amazon.ca. Forget about all those other bonuses--perhaps next year they're coming--Amazon was hiring Canadians recently for their Toronto office, apparently to introduce and sell the Amazon Echo--more on the Echo in Part IV. Today, on 07/11, between 11am-7pm, walk into any 7-Eleven, while supplies last, and get a free small Slurpee. Offer valid in Canada and the US. To see which flavours are kosher, ask to see the syrup in their "syrup room" on which you can see the certifications. Download the 7-Eleven app from the Google Playstore or iOS, and buy 7 between July 12-18 (and scan the barcode with the app), and get 11 free slurpees until August 31st! Normally, with the app, you get 1 free after every 7. Here's the 7-Eleven store locator link. Watch your feet--they could get VERY sticky by the dispensers! Coming later this month, IHG, the Intercontinental Hotel Group, will be releasing, as they do every 3 months, their list of hotels worldwide that they will offer a "point break" on--meaning, whatever the regular number of points you would need to stay at any of the hotels on the list, from 10K and up, many times, over 20K per night, are only 5K per night. You can stay as many nights as you wish in these hotels, and up to 2 reservations per hotel. So for example, you could stay for 3 weeks and then a month later, within the 3 months that the deal is valid, stay for a weekend. Unfortunately, the best way to get IHG points, other than staying at IHG properties and paying for the stays, is with the Capital One Canada IHG Mastercard, which is no longer accepting new applications since September 2015. As a supervisor explained to me last week, it was due to IHG ending the relationship, and I should be happy that they didn't outright cancel the card as Delta did with Capital One Canada. BUT, there is still another way of getting IHG points for Canadians. First, you'll need to have an IHG account. Sign up here for one. Then, you'll need points to get points--if you have points, for example, around 20800 Aeroplan points, you can exchange those on Points.com for 15028 IHG Points. Maybe not the best exchange rate, but at least you'll be in the game then. Once you've made that exchange, log in to your IHG account, find a Toronto hotel, for example, for any night, and you'll see an IHG Rewards Club offer of using points combined with cash--the $70 option, meaning you'll spend $70 for 10K IHG points--that means you're paying $35USD/night for what could be a VERY nice hotel--I always choose either Crowne Plaza, Hotel Indigo, Staybridge Suites or Candlewood Suites. While a points night usually involves a regular room, Crowne, Staybridge, and Candlewood suites all have larger suites, including ones with full kitchens. If they have availability in the larger suites (check first) and you'd like to have one because of the size of your family, send a nice email to the Front Desk Manager asking for an upgrade, that even without status, you may have some success getting. Here's what the page may look like when you try to do this trick. This screen shot is for the Holiday Inn Express Downtown Toronto. You'll see below that if you combine points and cash, you'll get refunded fully in points--so the 15K you initially put down, you get back, and the $70USD will be refunded as 10K IHG points extra in your account! A good idea is to go on Trip Advisor after seeing which hotel you'd like to stay at. Find the hotel on there and see the name of the manager who's responding to the reviews. Call the hotel and ask for that person's email address. Write the person an email explaining how you're a Trip Advisor reviewer (hopefully you ARE), how you read favourable reviews on the website (you wouldn't be wanting to stay there otherwise), and how you would appreciate an upgrade to a suite that will fit your family. Many Marriott properties won't give it until the day you check in, as they want to sell out the pricier rooms, not give them away. Especially true if you would like an upgrade for many days, as opposed to a couple on non-peak dates, but I find IHG is more flexible on upgrades than Marriott is. For example, the Entertainment Coupon Book, digital membership, $4 for 3 months (minus $1 with 25% off). You may want to choose which deals to get 25% off on since you're limited to 3 per membership and save them for MUCH bigger discounts. Your significant other may of course also have her/his own account too so you can get up to 6 local deals at 25% off. Maximum value using the deal is $50 off, so for example, on one deal that costs $200, you'll save $50 and use up your promocode allowance with "25MORE". Always start your visit to Groupon through EBates.com, so that you can get cashback for whatever your final cost at any store is, including Groupon. Currently, Groupon is offering 6% cashback, so a $200 Groupon purchase with the promocode, plus 6% cashback, would cost you $150-$9 cashback. I find that Groupon.com, Living Social.com, WagJag.com, and Buytopia.ca are good for attractions. I would recommend you ALWAYS read the fine print. We've been "Grouponed" before when we realized that the 1.5 hour drive to a farm for our girls to enjoy a farm and a pony ride was for 1 child 4 times around, not up to 4 girls one time around. NEVER recommend you use them for home services, such as vent cleaning. They'll tell you that you need extra cleaning that is not covered by the Groupon even though you don't need it, and then they'll also have your phone number and call you every once in a while asking to come back, even when you tell them to stop calling. Better off going on to homestars.com and finding a legit business with good reviews. While on the subject of going to websites to get advice, when finding a new doctor, I'd recommend you go to ratemds.com to find one that doesn't leave you hanging in the doctor's office for an hour (punctual) and one that will treat you with respect (not talk down to you). Friday July 15 is Healthy Parks, Healthy People Day. Provincial Parks in Ontario will be offering free day visitations to all, and some of the parks have free events and activities planned that day. Might be a good day to take the day off! Here's a rundown of the day's events. Enjoy your staycation! Since Aeroplan introduced Market Fare and what they tag on their website as a "great deal" is largely not at all a great deal. Market Fare is Aeroplan's answer to customer complaints that there are not enough reward seats available on flights, so Aeroplan decided to make EVERY seat on EVERY Air Canada flight available--but at a price. As seats become more and more scarce, the number of points required to fly increases to incredibly unreasonable amounts of Aeroplan points, just so they can keep their promise. Well, sometimes they offer deals, but while you'll get a deal on the points, they'll shaft you with the fuel surcharges, making a "great deal" a sham. Right now, Aeroplan is, in my opinion, either accidentally offering OR doing this as a publicity stunt to get people to look at Aeroplan as a more viable option than competitors such as British Airways Avios. It could simply be because Air Canada prices for the flight at the time period listed below allows them to offer such a low price. Interested in flying to Hong Kong from Toronto? Right now, such a flight between September and April 2017 is going for as little as $1000 with Air Canada. Aeroplan is having both direct and 1 stopover in Vancouver flights from as little as $74 and only 56K (for those with Black Distinction status and around 60K for those with no status) and change in Aeroplan points. Regularly, a flight from Toronto to Hong Kong, with fixed mileage is the maximum number of points for any flight, 125K Aeroplan points. Normally, market fare taxes are lower than fixed mileage, though in this case, the differential is insignificant. My family all have Nexus cards. Nexus cards are a high security US-issued ID that allows you to cross the border with relative ease and most importantly, SPEED! If you have little ones, even if you only cross the land borders once a year during the holiday season, the last thing you need is a screaming/whining child because of a long wait at the border–you’ll be thanking me for getting you to spend the $50/adult just to avoid that hassle. Solution: As a Canadian citizen with a passport, you can apply for a Nexus pass. The cost:: $50USD or $50CDN for FIVE YEARS ($10 a year), depending which way you apply (on paper or online) and that’s per adult. Children are FREE until they’re no longer minors! If you cross at a land crossing, they’re are usually dedicated NEXUS lanes, just for NEXUS card holders. EACH person in the car though MUST have a Nexus pass or the CBP (Customs and Border Patrol) guard WILL take all of your cards and BAN you from the program, perhaps for years! It’s at the CBPs discretion. You may send a letter of apology, BEGGING to get back in and they may say yes. After applying, you’ll need to schedule an interview with a CBP office–the closest one in the GTA is at Pearson Airport. Currently, due to renovations, it's on Airport grounds, but NOT at the airport--and there's free parking! I’d rather go to a bridge crossing that has a CBP office that does interviews; specifically the one at the Whirlpool Bridge. That bridge is awesome because it is a DEDICATED bridge to Nexus card holders only. They'll also let you through the bridge on the way back after the interview though you haven't been issued your card yet. They'll give you a number which you'll mention through the speaker box to them. It’s a little tricky at first to find the bridge (not far from the Rainbow Bridge, in Niagara Falls) but the wait there is practically ALWAYS minimal. They’ll probably ask you at the interivew (and your partner if you’re not single) why you want a Nexus and how often you’ll likely be crossing. You can use the card to get a small discount on your cost of crossing the bridge. You may put either CDN or USD on your actual NEXUS card at the border crossing booth on the US side (of the Whirlpool) so you don’t have to go scrambling for change since they don’t accept NY highway transponders nor credit cards to pay to cross. You ARE EXPECTED to always be totally upfront about your business and what you’re bringing over and returning with. My wife and I have always followed that policy and we’ve NEVER (thank G-d) been pulled over when coming back to Canada except when one of the cards had expired--even then, they were very respectful, professional, and understanding of the matter. Don’t think if you’re coming back on the Monday of a long weekend that they’re won’t be a wait–ONE TIME we were foolish enough to do what we usually do when we go every few months–to do grocery shopping, but instead of going on a Sunday of a long weekend, we came back on the Monday–and dealt with about a half-hour wait–the longest I’ve ever waited. The advantage to the Whirlpool is you don’t have to worry about being blocked by cars from getting to the dedicated Nexus lane as you would with other bridges as EVERYONE crossing at that bridge is in the same boat as you–with Nexus cards. At other bridges, you may be backed up for hours before you can weave your way into that special lane. And as of the renovations in 2015, there are now up to 2 officers/lanes on each side of the bridge, cutting wait times by 50%! Oh yes, and babies DO need to get a passport, followed by applying and receiving a NEXUS card too if you wish to use the NEXUS lane. While you may wish to save money and apply through a paper application so that you pay $50CDN, paying $50USD is worth it as you'll do so through an online application. You'll have an online ID through the GOES website connected to the Nexus program. When you reapply 5 years later, your profile will still have all of your info so you won't have to go through the trouble of starting from scratch. Also, your chances of avoiding another interview are MUCH higher if you reapply online. Apparently, only 10% of reapplying applicants avoid a new interview, but me and even my wife, whose Nexus expired, had to go for a new interview. EVEN HOTTER Deals from Washington and Boston to Joberg! For some reason, Expedia's New Zealand website is offering even cheaper deals than out of JFK. They're not direct, either having stopover in Ghana or JFK, but now that the JFK-Joberg deal's dates are slowly vanishing at the low rate reported on yesterday's post , other options have been found, as reported on Dan's Deals. From DC the fare starts at NZD 544 which is USD $391. From Boston the fare starts at NZD 651 which is USD $468. You can find cheap dates using Google Flights and then plug them into the link below to save approximately $390 off those fares.